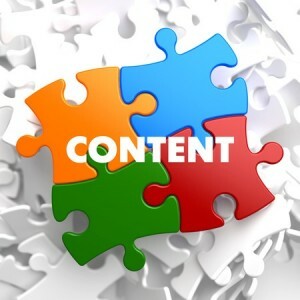 Content creations requires constant strategy and focus in order to produce the very best results. Knowing exactly what your audience expects is crucial in keeping a loyal following, but finding new ways to attract people who haven’t heard of you is just as important. For many brands and blogs, how-to content is a sure-fire way to attract new visitors who are looking for answers to questions or who simply need to figure out the steps in a process. Today, we are going to look at the essentials of what it takes to build high-quality how-to content, so that your website can attract the traffic it deserves. Hopefully, most content you write about relates to areas in which you have expertise. However, sometimes, we find ourselves answering audiences’ demands for new content by branching out into new areas. When this happens – or even when it’s not the case – researching the subject thoroughly is essential. Nobody should be pinging noise at their readers in the form of poorly-researched content. For almost every how-to or query, there is plenty of online information that helps summarize what must be done. Carefully review this, absorb it, and your how-to content will automatically be improved. In order for how-to content to be truly effective, it must be visible to the masses. Even the best content can go unseen if it is not optimized for search engines, social media or other platforms where it will be pitched to audiences. As such, you must carefully consider how to incorporate various SEO and marketing elements into the content itself. If the how-to content is related to your usual area of focus, then finding high-quality, targeted keywords won’t be difficult. However, additional research may be necessary if your how-to content is targeting a new niche or subject. Additionally, be sure to consider how images and other elements will appear when shared on social media: a glossy high-quality thumbnail can make the difference between a click and a shun on sites like Facebook. Wherever possible, it’s important that you make the learning process as easy as possible for readers. Rather than writing out every step monotonously, why not include some visual aids? These can include videos, simple pictures of each step of the process, and more. Many people learn better by observing rather than reading: you’ll appeal to a broader audience with your content if you can teach them via both methods. Last but not least, the flow of the how-to content matters just as much as its contents. Many people need a breather – especially when reading long explanations – so it is crucial that you provide headings, subheadings, image breaks and other spacing elements to ensure the content can be easily absorbed in pieces. By doing this, you’ll avoid pinging noise at the audience and overwhelming them. Being one of the most popular types of content online today, how-to content can be a big boost for your online presence. By following the tips above, you’re sure to create better, quality how-to content that informs, persuades and excels.